The Coca-Cola "Happiness Machine" has landed! 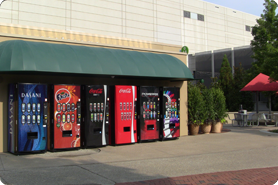 You may have heard of the seemingly ordinary vending machines that deliver surprises to unsuspecting passers-by. One of these Coca-Cola Happiness Machines has struck again, this time in Atlanta. Starting in time for the first day of summer today, a Happiness Machine is delivering unexpected moments of happiness to randomly selected guests outside the World of Coca-Cola. 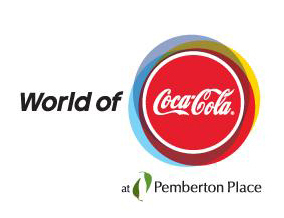 The Coca-Cola® Happiness Machine will be outside the World of Coca-Cola in Pemberton Place from Friday, June 15, 2012 to Monday, September 3, 2012! The Happiness Machine will create moments of happiness by giving randomly-selected visitors fun summer prizes during our "Summer Moments of Happiness" promotion! The promotion will be live within selected activation days and hours during regular business hours (approximately 9:00 AM – 6:00 PM ET) outside The World of Coca-Cola in Pemberton Place. Since 2010, Coca-Cola Happiness Machines have made brief appearances in more than 15 countries and on 10 U.S. college campuses. A Happiness Machine also made a brief surprise appearance at the World of Coca-Cola in May to celebrate the Atlanta attraction’s fifth anniversary at Pemberton Place. However, this new Happiness Machine is the first machine to remain in a single location for an extended period of time and is also the first Happiness Machine in the U.S. to appear outside a college campus. Since opening at Pemberton Place five years ago, the World of Coca-Cola has welcomed guests from six continents, more than 75 countries, all 50 U.S. states and the District of Columbia. In addition, 11 percent of the estimated 712,000 visitors to Atlanta from outside North America in 2010 experienced the World of Coca-Cola during their stay. 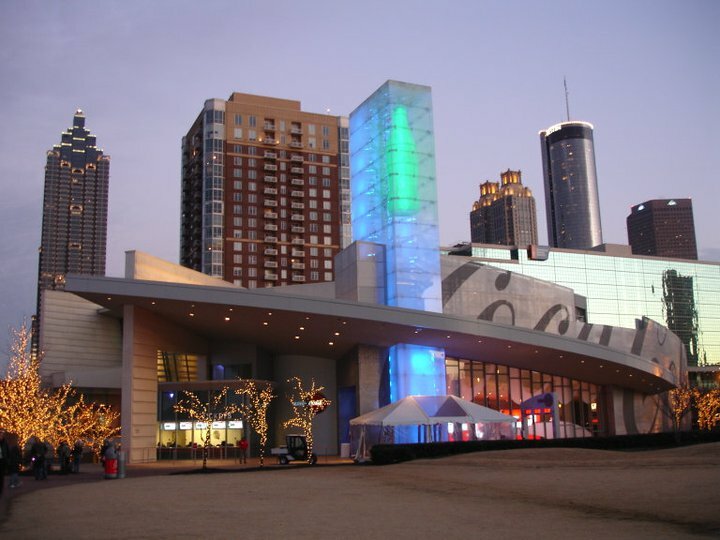 Since becoming the home of the 126-year-old secret formula to Coca-Cola in 2011, the Atlanta attraction has seen increased attendance, strengthening its impact on the city’s hospitality and tourism market.